*Ties are broken by points scored in match play. See scoreboard at Tournament HQ for details. Tee off is at 8am sharp and will be preceded by a players meeting. Make sure to arrive early to find out what hole you start on. The Pro Shop is all stocked up for our biggest every Black Friday sale! Prices are so low we can't even advertise them! We will be fully stocked on discs, bags, and baskets. This is a great time to bring a friend and introduce them to the game! The team representing San Diego in the 2015 Southwestern Team Disc Golf Invitational has been finalized. 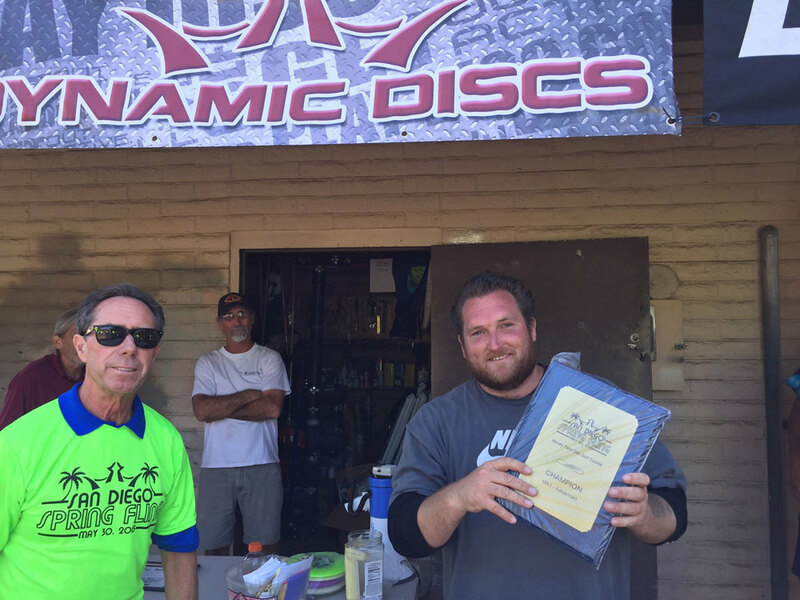 The 2015 Course Championship has been completed and now it's time to round out the San Diego team that will be competing in the Southwestern Team Disc Golf Invitational. To fill the available spots on the team there will be grinders for qualified players. 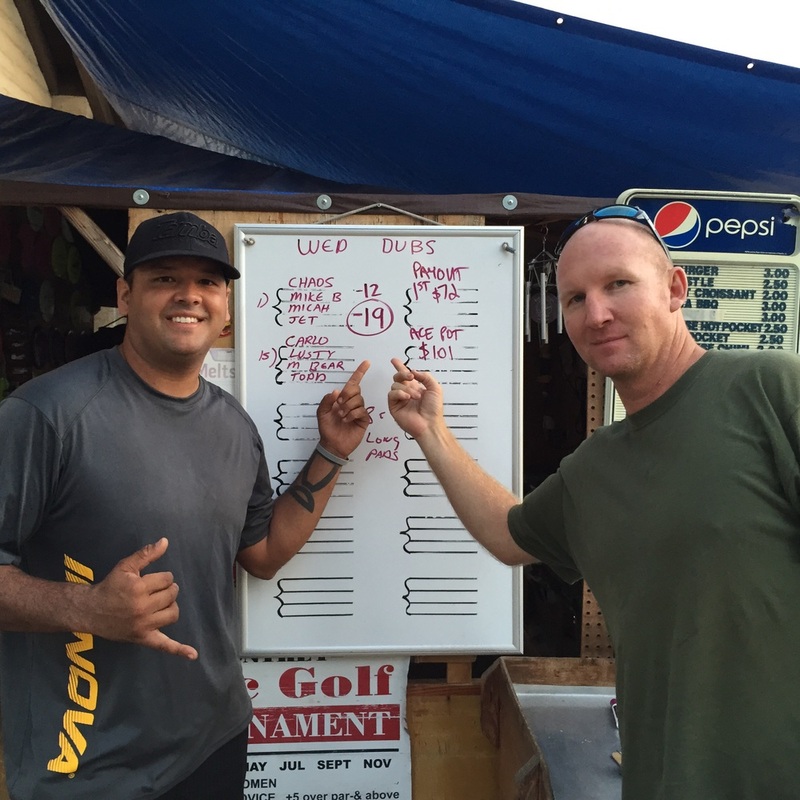 Wed. night doubles for pro and advanced players is still going on for a few more weeks. The start time has changed to 4:45pm. Entry cost is $10 cash + play band. Micah and JET tied the course record for Wednesday night doubles at -19! Friday night doubles will now tee off at 4:45PM. To sign up, you must pay for entry and play band by 4:30PM. See you Friday! 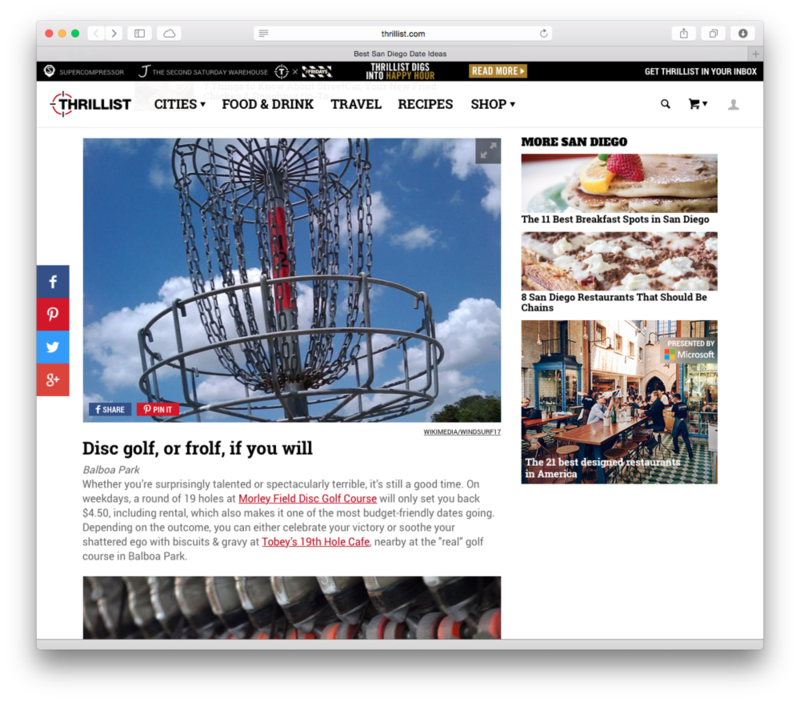 Thrillist.com had an article about "15 Actually Great San Diego Date Ideas" and included playing disc golf at Morley Field! Click on the screenshot below to view the full article. This year’s Spring Fling was a very smooth running event. Staff had all the scorecards, tourney boards and prize packages completed and ready well before the event even began. The course was arguably in the best shape ever with the Jacaranda’s in full bloom and the grass bright green from the recent and much needed rains. We had a full field of 95 amateur players spanning 7 different competitive categories. This was our first year as a Dynamic Distribution primary sponsored event. They provided each of the players with a Lucid Escape in their player packages. They also donated other discs, shirts and cozies as prizes for the players. We still had our other usual sponsors of Innova, Discraft, Gateway, Legacy, Millennium, Vibram and MVP. Each of the players received a shirt, disc, coozie, deck of cards and 2 mini’s in their player packages . They also got lunch (Pizza, salad and drink) and entry to the huge free drawing where we gave away over $600 in donated items from the disc manufactures. For the first year their greens fees were also included in their entry. Each player competed for two rounds on a rare closed course. Full results are available on PDGA.com/events. In the premiere category of Advanced amateur long time local Jonathon Maki lead from start to finish winning by a convincing 4 strokes over top contenders Carlos Caballero, Jet Tydingco and much traveled Brandon Langston. For his efforts Jonathan won a Discraft Chainstar basket valued at $375. Over $4500 in prizes were awarded to over 40% of the field in this event. Additionally, plaques or framed certificates were awarded to the top two players in each category. Among the prizes were 2 Chainstar baskets, a Dynamic Distribution basket, an Innova Skillshot basket, 4 Ranger bags and a host of other disc golf paraphernalia. Each of the players also had a chance to win a Skillshot basket in the ring of fire during the lunch break for a $1 fee. James Barnes was our basket winner. The Intermediate and Recreational divisions were won by the brothers Chris Dilloway and Andy Dilloway. Women’s and Masters were won by the expecting couple of Allie Robles and Chet Morse. Grandmasters was won by another long time local Christian Cullen. Finally, our Junior category was won by Beck Russel. On another note we had a rare occurrence of one player, Noel Sanchez shooting the worst in his category (+6) in the first round followed by shooting the tournament best (-9) in the second round. His round was highlighted by a 100’ sidearm skip deuce thru the double mandatory on long 11. Booyea! In front of the tourney director no less. What a turnaround. I’d like to thank all our sponsors and all the staff Mac, Eric, Oscar, Jesse, Joanne, EJ and all the regular shop and outside staff members for the usual outstanding efforts. Till next year… Z ya! Spring Fling 2015 - Results and Pics of Division Winners! Full results available on PDGA.com. Click here for results! Spring Fling registration list is now available on PDGA.com. If you just signed up and don't see your name yet, don't worry, it takes a little while before we post new registrations. Spring Fling hole positions will be as listed below. On the day of the event, we will let you know if any changes had to be made. Vibram Disc Golf has generously paid for everyone's play bands this Saturday and Sunday (March 21 and 22). They will have a booth setup showcasing their disc lineup. Please stop by the Morley Field Pro Shop to grab your free play band and then take your raffle ticket over to the Vibram booth to enter the raffle. Give a big thanks to Vibram too!! Ace pool $156 not won. Morley hours are sunrise to sunset, seven days a week. Upon arriving at the course, please proceed to the pro shop to purchase your play band before starting your round. If you are new to the course, our pro shop has course maps to help you find your way around as well as refreshments and lots of disc golf gear to get you started or expand your collection.